Ultra Beasts seem to be more involved in the story, and we get a glimpse of those mysterious new characters. Check out the new trailer and see our translations! Japanese variety show Oha Suta has aired this morning in Japan and given us some new footage about Pokémon Ultra Sun and Ultra Moon (USUM). Check out the trailer below! We’ve also taken screenshots. Highlights include new characters, seen in the promotional poster for the games. One of these new characters is called Shionira. We also see more of the Ultra Beasts which appear before the Kahunas – for example, Guzzlord appearing in front of Nanu. Nebby and Necrozma fight it out, and you also get to ride Nebby through the Ultra Dimension while wearing your special suit. Lillie is in her original outfit at the start of the game, the first we’ve seen it thus far in Pokémon Ultra Sun and Ultra Moon promotions. Perhaps most importantly however is that we see the player character show emotion beyond a blank smiling face. Kukui states “Yup! A long time ago, at a time when Alola was covered in darkness… It is said that the Pokémon and people of Alola used light to drown out that darkness”. Burnet says “It’s extremely rare, but sometimes a hole opens in the sky over Alola” (a line seen in Pokémon Sun and Moon). On either side of Burnet’s dialogue, the trailer text says “The omen of darkness…/Happened without a doubt.” What does this omen of darkness involve? 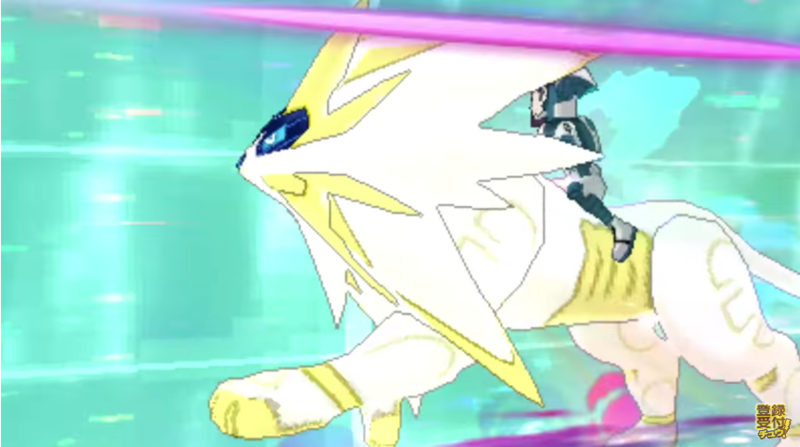 Next we see Shionira, one of the new characters, say: “The light-manipulating Necrozma……… Is it stealing Alola’s light? !” The trailer then states “This is not the Alola region as you know it”. Guzma’s dialogue is “My partner will keep living… So I will keep living… yeah.” Gladion then exclaims “”If mother were to also disappear…!” – could he be referring to his father? 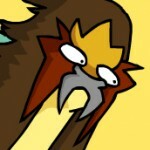 Lusamine then says “You must escape… That thing… it’s a monster!”. She’s likely talking about an Ultra Beast, which is a significant change to her original statement about it being a thing of beauty she must have. What do you think of the trailer and its dramatic music? Screenshots by Jake and Radiating. Translations by Jake.